We seem to have had a lot of courses running lately, where we have had to deal with sewing tricky fabrics. 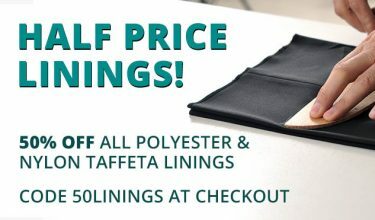 It pays to know how to deal with the fabrics you choose so that you still get a fantastic end result, so I thought I’d share some of the pitfalls and solutions we’ve been using over the last few weeks. We are almost halfway through a Make Your Own Quilt course. Participants have brought all kinds of clothing to make their quilts with, to create their own everlasting memories. Obviously clothing comes in all kinds of fabrics, so how do you deal with stretchy, silky and even furry when you are piecing patchwork? Just remember to remove seams, cuffs and necklines! 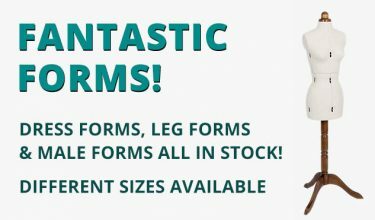 Well, first anything with any kind of stretch or fluidity like T-shirts or sports clothing needs stabilising first with interfacing. Cut all your garments apart to get rid of things like seams, cuffs and necklines, so you can have as much flat fabric as possible, but you can leave in pockets and logos, which make for great interesting detail. Then iron interfacing on to the back, which will stop the stretch. 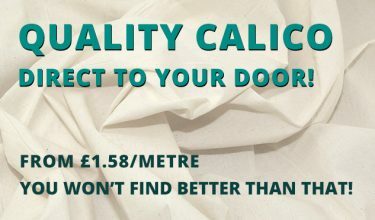 When cutting use a VERY sharp rotary cutter – if it needs a new blade, change it because accurate sharp cutting is extremely important especially with a fabric that might fray. Also be careful about cutting cloth like shirts on the grain – sometimes fabric that doesn’t appear to be stretchy, if cut on the bias (across the grain) will suddenly become stretchy and then your patchwork squares won’t fit together well. When you are piecing your fabric squares, pin them carefully, matching seams together. We have found that if you pin the seam and leave the pin in when sewing, there is no room for movement and your seams will match beautifully, despite the different fabrics. If you have got patchwork blocks that are slightly less than square due to an element of stretchiness, then consider adding some sashing between them using a stable fabric such as cotton. You can then ease your blocks to fit and it will stabilise the whole quilt, making it match together much better. 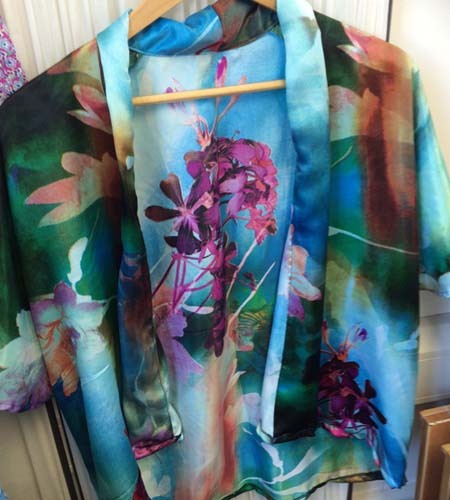 In addition to the patchwork, we’ve also been running a Make a Kimono course, focusing on silky fabrics. Cutting out silky fabric is particularly difficult, but again we’ve got a few tips to help you: Very sharp scissors are a must – remember to only use your fabric scissors for fabric, and sharpen them regularly. (Scissor sharpeners are an inexpensive but essential investment!) It helps to pin your fabric in between two layers of paper – you can use dot and cross paper, tissue or brown paper. The paper helps to stop it moving when you cut out. 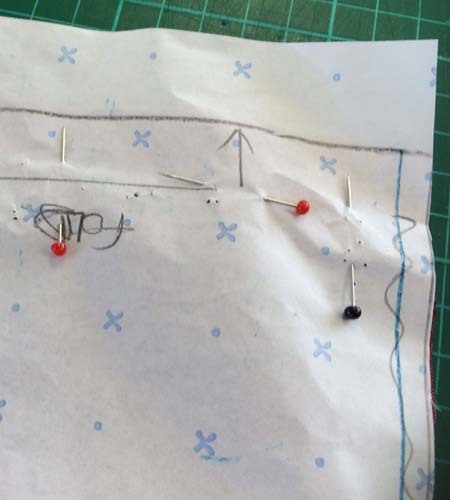 Finally if you pin your pattern on as shown in the photo with the pins in both vertically and horizontally then that again prevents movement and will make your cutting more accurate. 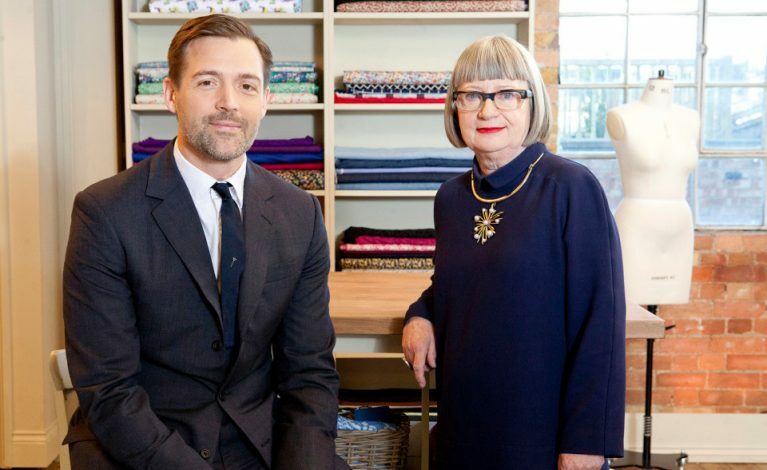 So give it a go – try those tricky fabrics you’ve been scared to tackle and amaze yourself! a line where two pieces of fabric are sewn together in a garment or other article. a bed covering made of padding enclosed between layers of fabric and kept in place by lines of stitching, typically applied in a decorative design. needlework in which small pieces of cloth in different designs, colours, or textures are sewn together. a strong, hard magnetic silvery-grey metal, used as a material for construction and manufacturing, or to iron out kinks in garments. an extra layer of material or an adhesive stiffener that is applied to the facing of a garment to add support. Also known as interlining. woven or felted fabric made from wool, cotton, or a similar fibre.